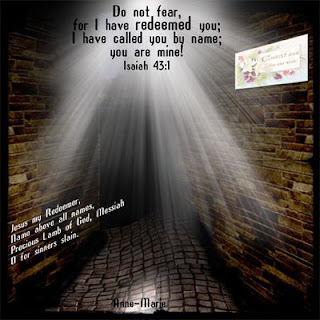 For this challeng the name of God to use was "Redeemer"
I felt this dark alley with the bright light at the end was like my life when I first achknowledged Jesus as my redeemer. I was living in darkness and then I saw and was brought into the wonderful light of Jesus. I'm Amy here greeting from Malaysia. I've read your blog n you're one of God's children!